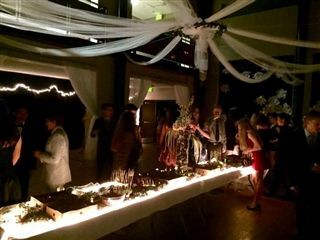 Last Saturday's Upper School Winter Formal drew a record-breaking crowd for an evening of socializing. With help from the industrious Mr. Bray, Student Council transformed the West Reading Room into an enchanted forest, complete with glowing trees and fairy lights. Ms. Fremgen reports that at 9:45 p.m., when the DJ encountered a technical glitch, the students collectively groaned in despair at the temporary interruption of the festivities. Thankfully, the music was restored a few minutes later, and the gracious chaperones agreed to let the dance extend a bit beyond its scheduled ending. Thank you to the Student Council for organizing an incredible evening, and thank you to all the attendees for being responsible and fun guests.